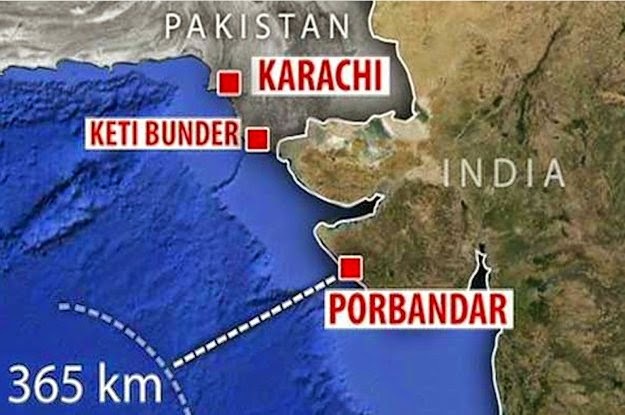 A suspicious boat from Karachi which is being called ‘Terror Boat’ on the net sphere (read internet) was intercepted by the coast guard about 350 Kilometers west from Porbandar, Gujarat. After being chased for about an hour by the vigilant coast guard, it blew up in flames. 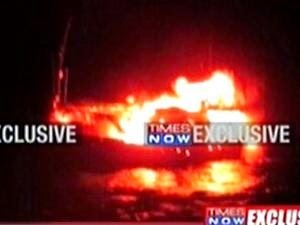 The ‘Terror Boat’ was carrying explosives and four people were sighted on it by the surveillance system before it self-exploded. The event occurred on Wednesday midnight. Soon after the incident was reported, twitter was abuzz with ‘Terror Boat’ related Tweets. A similar operation was mounted by ‘Lashkar e Taiba’ in 2008 when a lone boat ‘Kuber’ was converted into a ‘Terror Boat’ after it was hijacked by the Pakistani terrorists before went on to unleash terror in Mumbai on 26th November,2008. Good job done by IB and coast guard but it should serve as a reminder that India remains very vulnerable to Pakistan supported terrorism.